I want to first put a disclaimer here that I am not trying to say that every woman who has had a cesarean should VBAC or that if you tried to VBAC and it didn’t happen that this was a failure in any way. 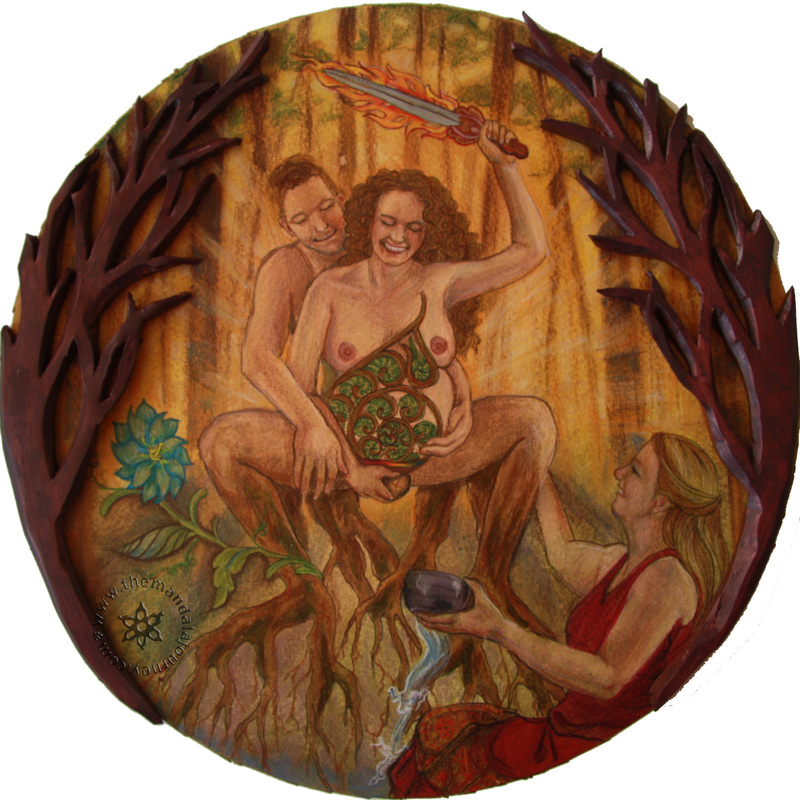 Also this piece is very earthy in a way that the cesarean piece was not and this is not to say that women who have cesareans aren’t earthy (cesareans are just by definition sterile). Also, some women have had traumatic VBACs. This is just a picture of what an “ideal” VBAC would be for my friend. Some people might find it odd that she is carrying a flaming sword. 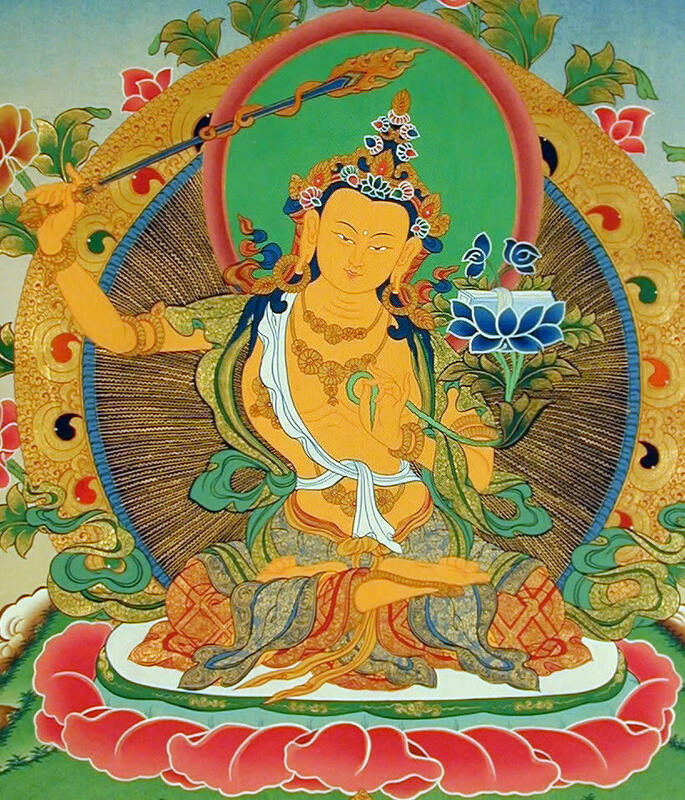 This was an image that I kept coming back to and stems from the Buddha Manjushri, the Buddha of Wisdom (I’ve included a pic in this album). He carries a flaming sword of truth. My friend was at first wary of this imagery but then said she really liked it because before someone else was holding the scalpel, but now she is holding that power. Also when thinking of the preparation that goes into a VBAC i know that many women are very conscientious to gather all the research and studies they can. 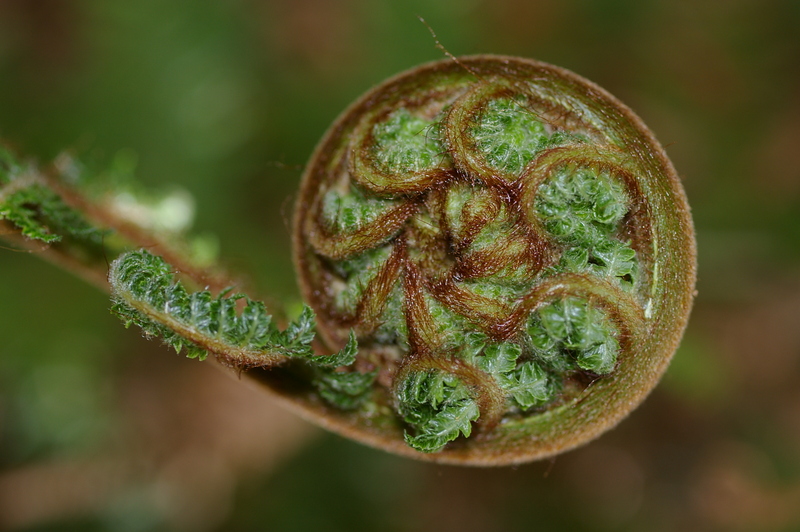 Also both the koru and the flower represent an opening and unfurling physically. Many women who have cesareans never made it to 10 cm and that is a fear for them when preparing to VBAC. So this essence of “opening” is an important element. Her scar is a rainbow that radiates strong energy. For many women they are told the main reason they shouldn’t VBAC is because of uterine rupture, even though the chance is so so small. This is to represent the physical healing of the scar. I love it, it’s so empowering, especially the sword, I “got” that right away.